“Long walks on the beach” are a dating profile cliché for a reason — few things are as serene or romantic as a leisurely stroll on a quiet strip of sand, waves nipping at your feet. 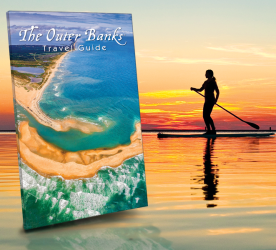 While other East Coast beaches have given way to miles of high-rise condos, tacky souvenir shops, and 24-hour casinos, North Carolina’s Outer Banks have retained their natural, remote beauty. This string of barrier islands is home to a series of uncrowded beaches, Insta-perfect sunrises, and some of the freshest seafood you’ll ever eat. Here’s how to make the most of your long weekend at the edge of the Atlantic. Once you’ve arrived and unloaded the car, you’ll probably have already worked up a thirst. Use it as an excuse to start your visit with a free wine tasting at OBX Winery in Kill Devil Hills. This unique microwinery produces all the wines they sell in-house, and they’ve made a name for themselves with their take on the standard varietals. Sample those, and then go for a spin on something more unique, like their tart green apple Riesling, the surprisingly tangy Merlot/Cab blend, or their refreshing peach Chardonnay. Be sure to try the OBX Sweet Mead, too, made from honey harvested by local beekeepers. Afterward, head over to Owens’ Restaurant in Nags Head, the oldest restaurant in North Carolina still operated by its founding family at its original location. You can feast on crab cakes — they’ve been on the menu, recipe unchanged, since the restaurant opened in 1946 — or drown your taste buds in Carolina jambalaya with shrimp, crawfish, sea scallops, tasso ham, and andouille sausage. Landlubbers will want to check out Owens’ dry-rubbed, slow-roasted St. Louis-style ribs, and everyone gets to try the restaurant’s famous hushpuppies. And don’t miss their intriguing collection of memorabilia from the US Life-Saving Service, which predated today’s US Coast Guard. 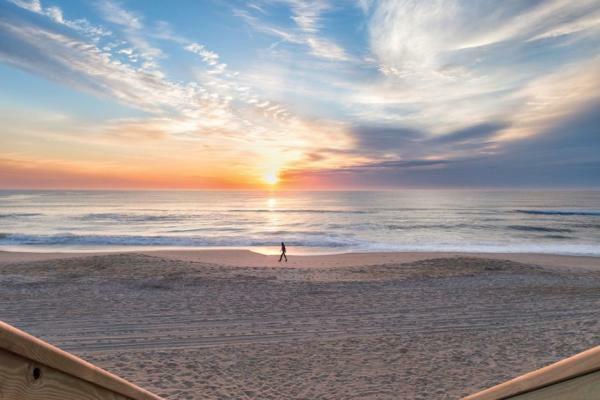 Start your first full day in OBX by getting up early to watch the sunrise, either from your deck or balcony or right from the sand at Cape Hatteras National Seashore. This protected collection of beaches spans more than 70 miles of the island chain. Pack a picnic breakfast and enjoy a morning of making sandcastles, collecting seashells, flying a kite, or just lying on the shore and listening to the waves come in while you’ve got the beach all to yourself. 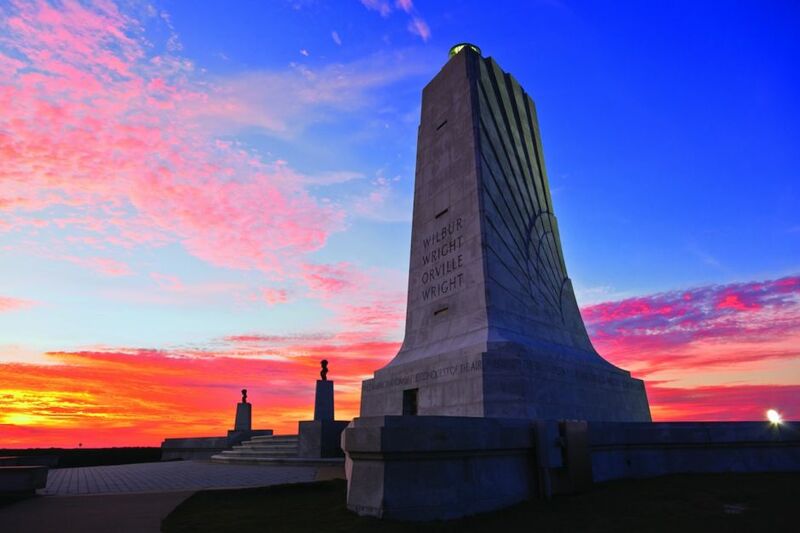 Once daylight has fully established itself, head over to the Wright Brothers National Memorial at Kill Devil Hills and walk where Wilbur and Orville Wright made the world’s first powered flight more than 115 years ago. At the visitor center, you can see a replica of the famous Wright Flyer to get a feel for their experience — you’ll learn all about the mechanics and history of their invention, as well as the reasons they chose this windy seaside spot for their test flights. Stop in at High Cotton NC BBQ in Kitty Hawk for a taste of traditional Eastern North Carolina hickory-smoked barbecue. The menu features hand-chopped pork, pulled chicken, ribs, beef brisket, and fried chicken, in addition to favorite Southern sides like coleslaw, baked beans, fried okra, Brunswick stew, and hushpuppies. By now, you’ve observed plenty — it’s time to spend the afternoon experiencing the actual thrill of flight. 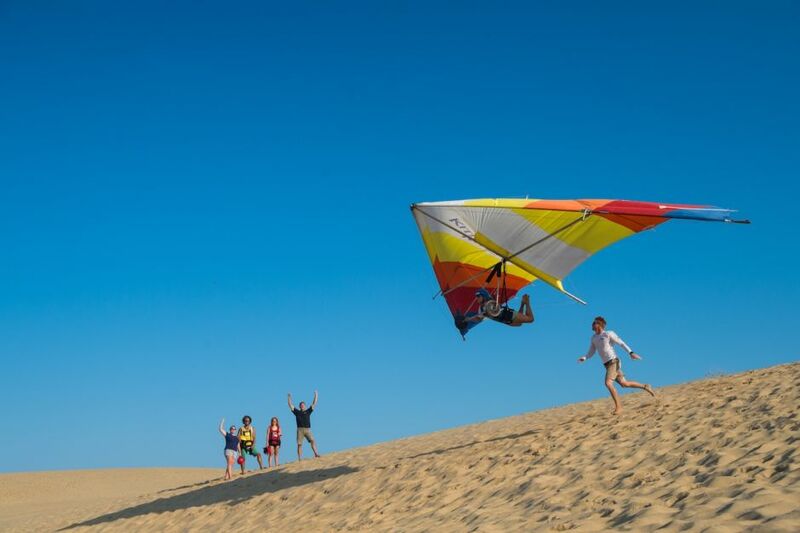 Choose from hang gliding with Kitty Hawk Kites at Jockey’s Ridge State Park or zooming high above the water with OBXjetpak. Wilbur and Orville would be proud (though they might not believe the jetpack bit). On your way back to your accommodations, pick up some fresh fish at a seafood market, like Dockside N’ Duck Seafood Market in Duck, Austin Fish Co. or Greentail’s Seafood Market and Kitchen in Nags Head, O’Neal’s Sea Harvest in Wanchese, or I Got Your Crabs in Kitty Hawk. Load up on alive-a-few-hours-ago shrimp, scallops, clams, crabs, lobsters, and fish of all varieties for your kitchen steamer pot (plus she-crab soup, sides, dessert pies, and more). Set up a table on the deck and add a few beers or bottles of wine, and you’ve got yourself the kind of relaxing evening vacations were made for. It’s Saturday, so sleep in and enjoy your time off. 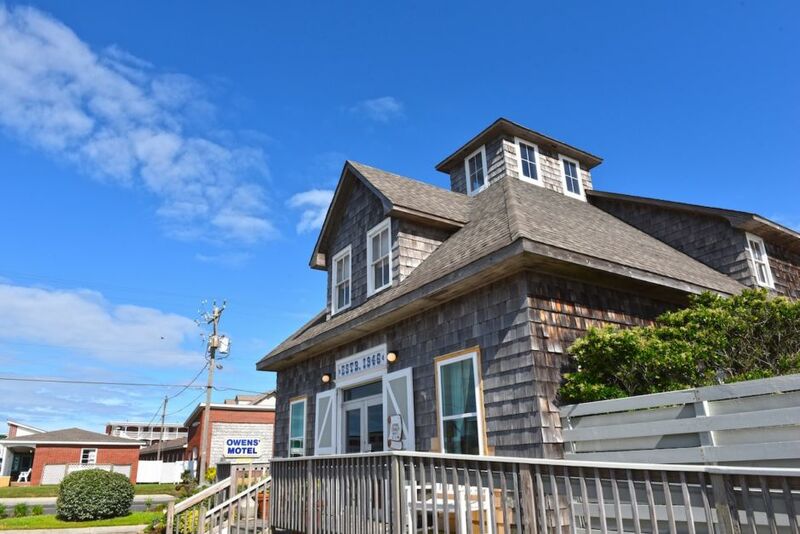 Once you rise, start your day right at Stack ‘em High Pancakes, an Outer Banks staple for nearly 40 years, with locations in both Kill Devil Hills and Kitty Hawk. You’ll find a wide range of pancake and waffle specials, as well as egg dishes and Carolina favorites like country ham, sausage gravy and biscuits, and grits. 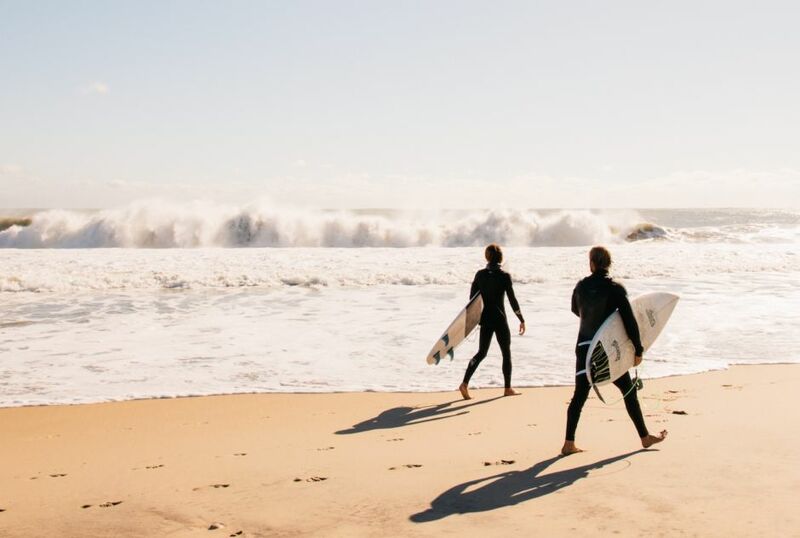 The ocean has been calling your name (or you wouldn’t be here), so answer it and spend today surfing, kiteboarding, or windsurfing. On the sound side of the islands, try out a stand-up paddleboard or kayaking excursion. Many outfitters offer equipment rentals and guided tours, so check out your options and find what’s right for your crew. Pack a picnic lunch so you can refuel right on the beach before heading back out to continue your day on the water. Grab a shower to wash off all that salt, and then head out for an elegant evening at 1587 Restaurant in Manteo. Here, world-class chefs prepare meals using house-grown herbs, catch-of-the-day seafood, and local vegetables that you’ll savor in a serene waterfront dining room. The result? An exceptional dining experience you’ll want to repeat year after year. Try the organic beet risotto, sesame seared scallops, or pan-seared maple-glazed duck breast — but you won’t go wrong with whatever you pick. Cap off your last night on The Outer Banks with a beach fire on the national seashore. Be sure to secure a free permit for your fire and follow the rules for keeping it to a safe size and at an appropriate time and location. Many visitors consider a bonfire on the beach the highlight of their OBX vacation, and it’s something you’ll remember long after you return home. You’ll need a little time in the morning to pack up and check out of your accommodations, but that doesn’t mean you have to head home straight away. Eat up the last of what’s in your fridge for breakfast (blue crab omelettes, anyone? ), then drive south on NC-12. 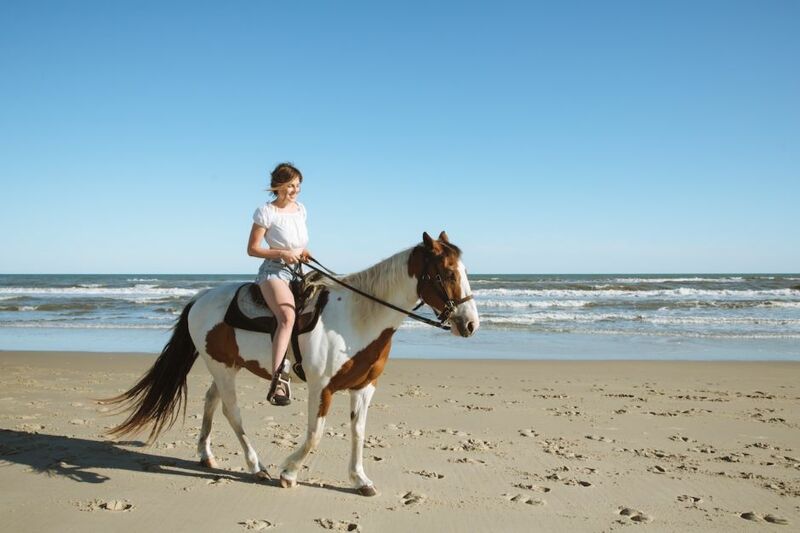 In Frisco, connect with Equine Adventures for a horseback ride on the beach. 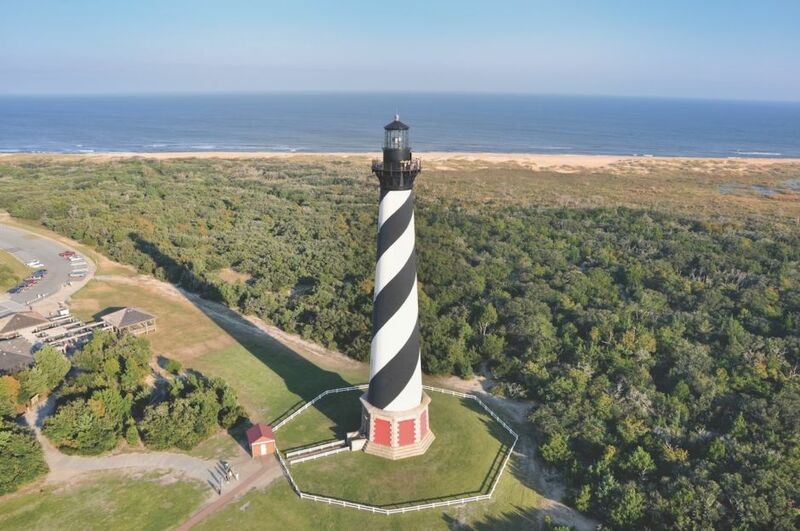 This is the tallest brick lighthouse in America, and the views go on for miles. An equally awesome shot? The lighthouse itself. Once you’re back down, spend your last OBX moments shooting this 19th-century bulwark against the backdrop of the sea. 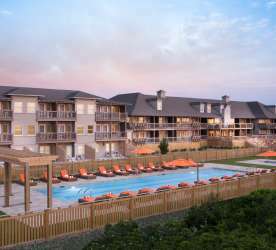 Vacation accommodations on The Outer Banks are a hot commodity, so you’ll want to book your lodging in advance. Fortunately, the islands offer a ton of places to rest your head, from itty-bitty bed & breakfasts to big and beautiful resort hotels. 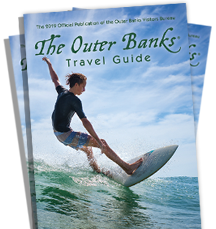 Start your search on the Outer Banks Visitors Bureau’s website, which will give you scores of options and all the information you could ever need right at your fingertips.